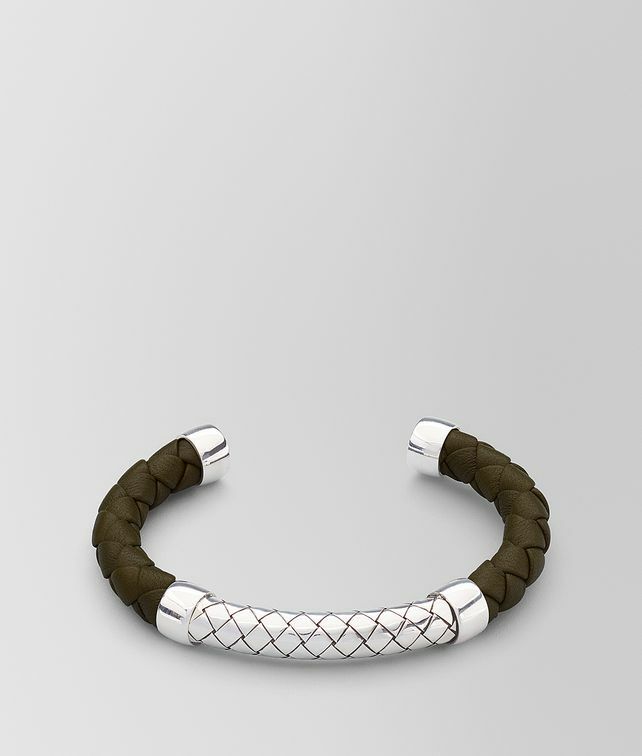 This expertly crafted cuff adds a personal touch to everyday looks. The design is hand-made from a combination of soft nappa and oxidised silver. Finished with our signature intrecciato detailing and a discreet butterfly symbol. Size S: 6 cm x 4.8 cm | 2.4" x 1.9"
Size M: 6.3 cm x 5.1 cm | 2.5" x 2"
Size L: 6.6 cm x 5.4 cm | 2.6" x 2.1"